An exciting event is coming up for engaged couples. 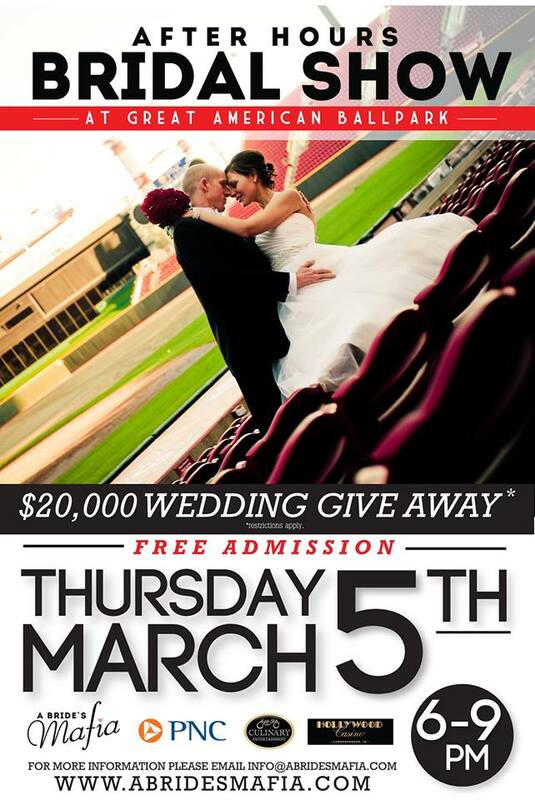 Great American Ballpark will play host to The After Hours Bridal Show and The Grooms Workshop all in one night. It’s an unusual twist on the usual bridal show. This is not your typical cattle call bridal show. This is a night with some of the top wedding vendors in Cincinnati. Have a cocktail while you take in the views Of Great American Ballpark. The show will feature a $20,000 wedding giveaway! Paul Mitchell School will be on hand for free up-do’s. 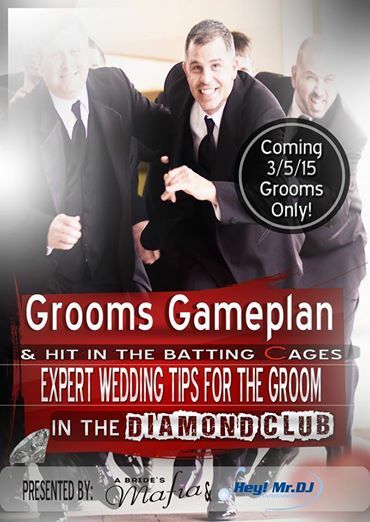 I will be personally hosting the Grooms Workshop in the Diamond Club starting at 7:00. What is the Grooms Workshop and why are bride’s not allowed to attend? What’s the cost? How about FREE! Can I bring my best man? Yes.. I will even have a couple of tips for him. Do we really get to hit in the Batting cages at GABP? Yes!! How awesome is that.. I can’t wait to take some cuts myself. Is this just some sales pitch? NO! It’s just great advice. Guys who have attended these workshops have given them great reviews. Quick quotes from one of our past grooms workshop attendees….